(Reuters) - Industrial conglomerate Honeywell will take a 25 percent stake in Chinese software provider Flux Information Technology, placing a long-term bet on China's rapidly growing logistics industry. New Jersey-based Honeywell said on Thursday it would also form a joint venture with Flux that will serve customers outside China in the Asia-Pacific region. 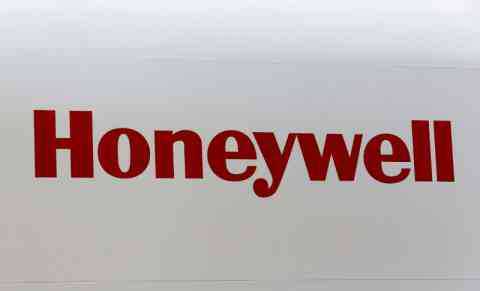 Honeywell, which makes everything from jet engines to personal safety gear, will own 75 percent of the venture. The companies did not disclose further financial terms. Flux makes warehouse management systems and software, managing more than 12 million square meters (129 million square feet) of warehouse space in China. Its business has been driven significantly by booming Chinese e-commerce, whose Internet-based sales require a huge increase in courier firms' abilities to deliver. The deal will boost Honeywell's safety and productivity business — its smallest by revenue — that makes supply chain and warehouse automation software and equipment. It also aligns with Honeywell's strategy of seeking deals in the supply chain and freight management sectors. The company spent $1.5 billion last year to buy Intelligrated Inc, which provides automated material handling equipment to warehouses.